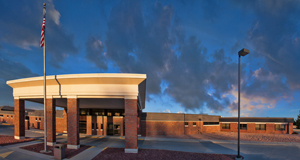 Cherry County Hospital encourages visitors of all ages to visit your loved one when he/she is able to benefit from the visit. CCH believes family involvement in patient care promotes optimum healing. Visitors may remain as long as their behaviors are respectful and conducive to a healing environment. Abide by the no-smoking policy for the entire Cherry County Hospital campus. Refrain from bringing latex balloons. Refrain from taking pictures in any public area. Choose to visit patients when you are in good health; if you are feeling a little under the weather, but feel your presence is necessary, please take advantage of protective tools such as a mask or gown that are available for your use. Wash hands, or use hand sanitizer, upon arrival and departure. Check in at the nurses' station to ensure that it is a good time to visit your loved one. Respect any visitation suggestions or instructions from the Medical Staff at Cherry County Hospital.